An enterprising couple, John and Cheryl Lowry, in Brisbane (capital of Queensland for those who are not Aussies) set up a charity for children in Argentina some years back and have been raising money through milongas around Australia. 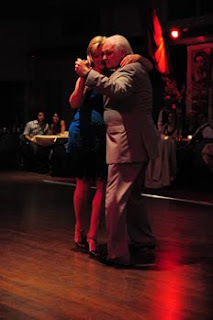 Their milongas are always very well organised and the raffles are lots of fun....John has just written to let me know of a Milonga Para Los Ninos to be held in Buenos Aires on July 30... so if you are in Buenos Aires... here are the details. "It’s a pleasure for me to let you know that Milonga para los Niños, an initiative born in Brisbane, Australia, http://www.paralosninos.net/ will have a place in Buenos Aires, on July 30th at La Milonguita.